Our pastor, Kurt Brubaker, has been our pastor since August 2015. He has most recently served as a bi-vocational associate pastor at Immanuel Evangelical Free Church in St. Louis, MO. Kurt holds Master of Divinity from Covenant Theological Seminary in St. Louis, MO. 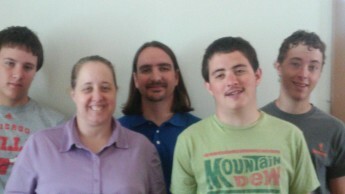 Kurt has been married to Pam, and they have three sons: Zach, AJ, and Austin.